Over the past few years, many researchers have found new and scientifically proven ways to increase positive emotions and well-being. 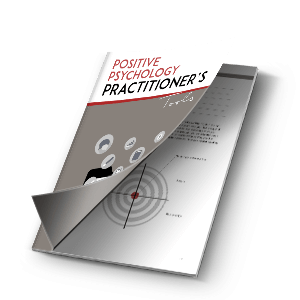 From Martin Seligman to Barbara Fredrickson and from Jon Kabat-Zinn to Amy Cuddy, many psychologists have discovered and shared a number of different practices to help increase the level of positivity you can experience in your life. The six techniques described below have all been shown to boost positive emotions, albeit with a certain amount of commitment and practice. Depending on your preferences, you might find some techniques suit you more than others, but let us introduce six exercises. Hopefully at least one will resonate you, which you can give a try and let us know how it goes! This classic gratitude exercise is recommended by Seligman (2011) in his book Flourish. The idea is a simple journaling exercise. Every day, at the end of the day, write about three things – large or small – that went well for you and why they went well. This exercise has been shown to improve symptoms of depression over a timeframe of a few months, but really all of us can benefit from reflecting on what went well each day. Experiencing and savoring the moment is a powerful way of connecting with our inner selves in a positive way. While its origins can be found in ancient Buddhist philosophy and meditation, mindfulness has found its way into modern life thanks to various advocates, like Job Kabat-Zinn, who developed Mindfulness-Based Stress Reduction. The Berkeley University Greater Good Center offers an excellent overview of the evidence supporting mindfulness’s many advantages. There are various techniques which can be practiced to train your brain for mindfulness, such as mindful breathing and the full-body scanning. In Love 2.0, Barbara Fredrickson describes how increasing micromoments of love in your life – including compassion towards yourself – can increase your health, vitality and well-being. Self-compassion, a concept introduced and studied extensively by Kristen Neff, is about learning to love and support oneself. This approach of self-love has been shown to impact positive emotions toward ourselves, our behaviors and our blunders, as well as develop loving-kindness and compassion for others. Loving-kindness meditation is one method which can be introduced in your daily life to begin experiencing loving-kindness toward yourself and others. You can find simple guided meditations on Fredrickson’s website. How we interpret the world around us has an influence on our subjective well-being. Developing skills to deal with adversity helps us become more resilient and positive. Reframing forms one of the building blocks of Neuro Linguistic Programming (NLP) and plays an essential role in the coaching approach. It has been shown that positive experiences, and especially sharing these with others, can have a lasting impact on our emotions. The Big Think presents to us the evidence of why experiences make us happier than material things. In a similar vein, research has shown that helping others makes us happy, whether it is helping out a colleague, friend or neighbor on short notice, offering support or volunteering ourselves regularly. Random acts of kindness are an easy and fulfilling way to bring positive emotions into your life. When you are in immediate need of positive emotions, paying attention to your body language and adjusting it accordingly can be beneficial. Amy Cuddy’s new book, Presence (2016), and her 2012 Ted talk, “Your body language shapes who you are” explains how our posture affects our emotions, and she shares “power poses” to quickly change your frame of mind and build confidence. Wanting to start living in a positive spiral is achievable. These six exercises, which each offer a unique approach to positive emotions, could be your solution to a more positive life. Start with choosing one: practice it every day for a week, or even just three days a week for a month, and notice the difference you feel in yourself and toward others. We have no doubt that the changes will be noticeable and we wish you positive experimental period. Are you familiar with other practices? What helps pick you up or moves you towards experiencing positive emotions? We would love to hear all about your story and add new practices to this list. Let us know by leaving a comment below. Seligmann, M. (2011): Flourish. New York: Free Press. Sarah Battey works as an independent coach, trainer and consultant at www.all-about-talent.net. 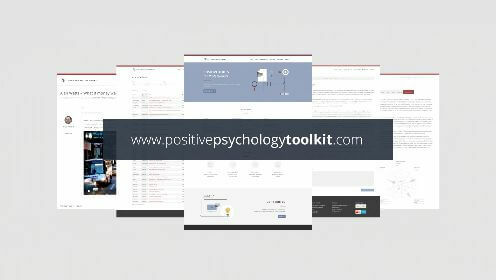 She discovered her passion for Positive Psychology and is thrilled to be able to integrate tools & knowledge from PP research into her everyday work. Superb techniques to incorporate in my Positive Psychology classes. Thank you for this article: it is a nice and clear list which will help me arrange and present the positive thinking “tools” I already know of to people I’m coaching (in French). It is wonderful to see these techniques more fully publicized. As a practitioner of Positive Psychotherapy, I already do all of them and promote them with my clients. They really do work. Thank you for your generosity in sharing them. Thank you for spreading positivity! Thank you Sarah, I really think it is great to keep reading anything positive and directions to increase our happiness .Lots of respect to you ,Step and all the other positive warriors out there ! Thank you Sarah.Wonderful piece for developing oneself. I am feeling happy to read this.